I just want to send out a Happy New Year's to everyone and many blessings in 2011. I am not even going to begin by writing how you should or shouldn't start your new year, but I do want to say that if we have ever met along the way or will meet in the near future I hope I (and my company) impact you in a positive way. I personally don't believe in making new year’s resolutions. I am firm believer that change needs to be applied everyday and in different ways. Again, not a suggestion on how anyone should live THEIR lives, but rather a way I live mine. I just enjoy inspiring others if they feel my message pertains. If change is applied every day, it keeps you fresh and allows you to love everything life brings, good or bad. A few items I would like to mention is that 2011 does pose to be an exciting year for us over all as a company. Our companies are growing and moving into more tailored and distinctive events locally or on destination. We will be growing our Canadian and Provincial destination wedding/honeymoon locations, as we have paired with a lot amazing resorts and new ones are to come! We feel inspired that destination weddings should be embraced everywhere and should be for every budget! We are also growing our destination weddings abroad. Adding distinction and finer details to make it more than "just a package deal" you can buy from your local travel agent. There are a lot of travel agents with great deals and a great deal of knowledge to offer. How we go beyond is that we took our 15 year travel knowledge (not accumulative, but rather per agent) and paired it with years of event planning and management, and graphic design. We also work closely with the best of best vendors and suppliers (from resorts to photographers). Again, it is about quality, not quantity with us. That is how we try to be boutique and couture. Going beyond is not just selling you a ticket to jump on a plane and fly away (unless that is what you desire), it is a way we take care of our clients. You are our guests, and that is the way it should always be! So in the new year we do ask you drop us a line or email and see how we can make your day a dream come true. We actually do care, and you are our priority. On behalf of everyone at Travel & Events with Style and With Style Designs: Happy New Year’s and only the very best to you and your families in 2011! Wedding Invitations – the new spurge? If there was one area of your wedding you knew you wanted to focus on and “splurge” a little, most couples would say the food and entertainment! And most brides, in most cases, (off the record of their groom hearing of course) would say décor. The interesting thing is invitations, which are often the last item on most minds, are not taking a larger part of the budget. Trend or move back to realizing their importance? Interesting question isn’t it? Etiquette requests that invitations are the true intro to your special day. 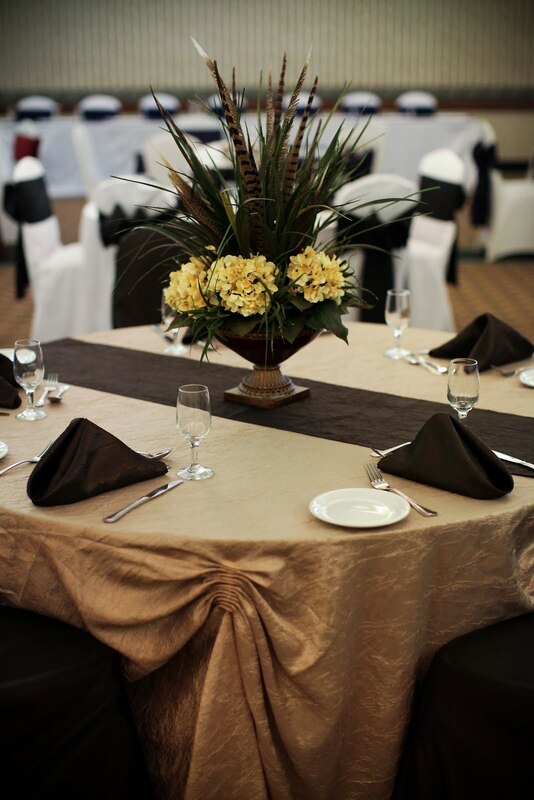 They state theme, dress, and give an idea to your guests what they can expect when that special day indeed comes. Now this post is not going to get into etiquette, but rather the trend of style that is enjoyably coming back. (stay tuned to out September post on Destination Wedding Invite Etiquette and article in Weddings in Winnipeg Magazine). The more we have requests for wedding invites the more it fascinates me how couples are asking for their “something special”. Now I do see requests for the simple and elegant every now and then, but I do have to say there is an increase to the more embellished invitations. This brings me alot joy just for the simple fact that elegance is being recognized in every aspect of the wedding itself. It is no secret our area of expertise is in destination weddings, thus we (and I) have had the pleasure of making and having the requests of fun themed invites that resemble airline tickets, passports, or of something of the area where the wedding is being held. Now if that isn’t enough, we are now adding extra embellishments to not just make them fun, but also elegant. It shows the attention to detail each couple is whiling to put into something so simple, yet so important. I have even had the request from a lovely bride to have magnet added to the back of her invite for her destination wedding so it would be on her guests fridge as a reminder of all the fun they would be enjoying during their week away. I could list a lot more “original” ideas, but how original would they be really? It comes down to each couple and their taste and requests. In my opinion that is truly what custom means, not just changing the names, fonts and colours. So if there is a message I can say to the couples out there starting the process of designing and ordering their invites it would be simply that they should not be shy to ask what it would take to have their invitations look the way they imagined and may be more so. Now I am a huge advocate on staying on budget, really I wouldn’t be a good wedding planner if I didn’t encourage my couples accordingly, but work with your designer. An inspired designer will create WITH you not just FOR you. There will be a time for give and take in order to create and stay on budget, but it never hurts to ask and see if the image you drew up in your mind became not just obtainable, but rather little gifts to share with future guests. A lot of people say they toss the invites they receive once they are invited, but honestly most keep them that much longer when they are memorable and original. Originality is key with every aspect of a dream come true wedding! Save for Travel – Rainy Day Account? 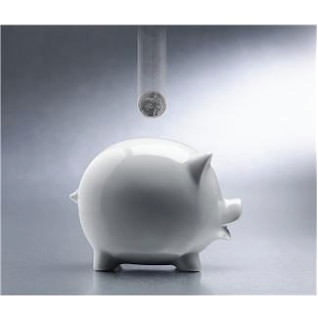 Written By Jaime Valdes-Riench, owner of Travel & Events with Style Over the past week this same idea has come up over and over again and finally it dawned on me when another fellow wedding/travel planner ask a simple question about saving money. So I thought I should actually write up on this money saving practice I have doing for a while now that has had a lot of overall benefits! The hardest part of this commitment is being diligent and committed. What I am referring to is having a “rainy day account”. Now this is far from being my idea, but this is really a great way to save and find the extra dollars so you can splurge and travel with your family! This is what I started doing and I can say it really does work.. but you HAVE to be committed. I am one of those who enjoy a “coffee house” coffee more than now and then, and I slowly started to see my waist line expand from one too many whip creamed topped tasty treats. So as a way to convince myself to watch what I ate I started taking that money and putting it into an account separate from my regular savings or chequing accounts. The money started accumulating, but not exactly as fast I really wanted so I then took it one step further, I started doing it with every temptation I could apparently afford. Three great things happened! One: I started realizing how much money I was really wasting on silly things; Two: I actually started LOOSING weight, and Three: I had some extra mad money! I am not really seeing a down side to this so far. I am now on my way to fit into that bathing suit I wanted to sport on a white sand, turquoise water beach, and I learned a lot about my spending habits. Let’s just say I nipped a few things in the bud now. So this may not be for everyone, and it may not equal thousands of dollars unless you are really saving the money you where going to use on a few designer shoes or handbags, but it CAN be the difference between a regular room and the Deluxe Ocean Beach Walkout room I have had my eye on for sometime. Let’s just say I am waiting a bit longer and maybe first class can be worked in too.. So happy travels and more power to you on self control! Destination Weddings have been become a passion of ours as a company and we can’t wait to find more and more locations to make these little trips and wedding-moons in one a true reality. Quite honestly, not everyone wants to travel very far, but everyone deserves an unbelievable dream day wedding. 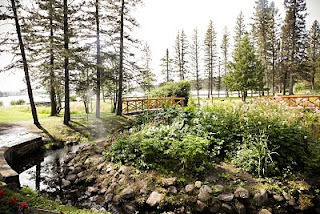 This is where a resort such as Elkhorn Resort and Spa is one of the most perfect resorts right here in our beautiful prairie province of Manitoba! 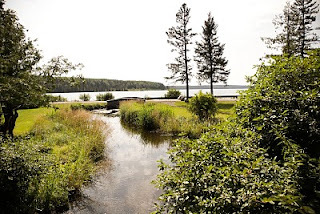 Elkhorn Resort and Spa is nestled on the edge of Riding National Park and across the highway from Wasagaming, MB (Clear Lake). Everything in this area is something straight out of a post card. From crystal clear waters to green rolling hills, the geography of park is breath taking! 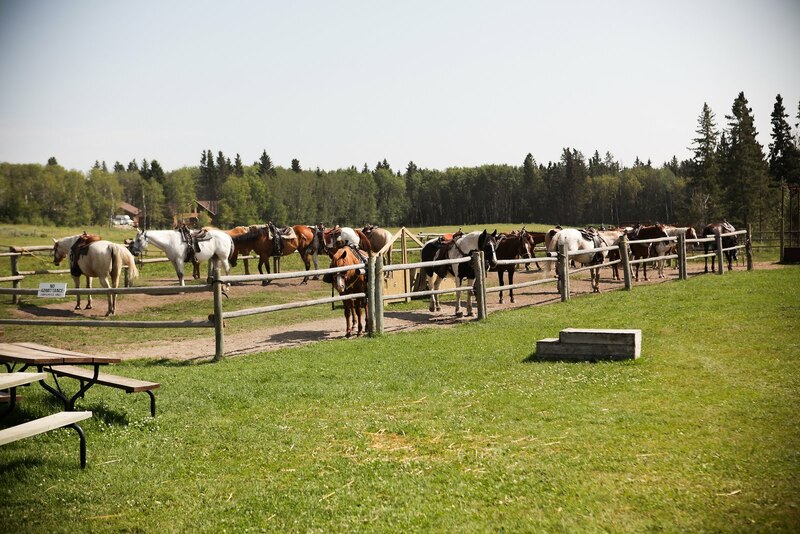 Now add a Resort with awarding winning gourmet cuisine, an new huge equestrian stable, and a spa that can take you away. You can have an unbelievable vacation, honeymoon and WEDDING in one! The best part is.. you are in Manitoba! 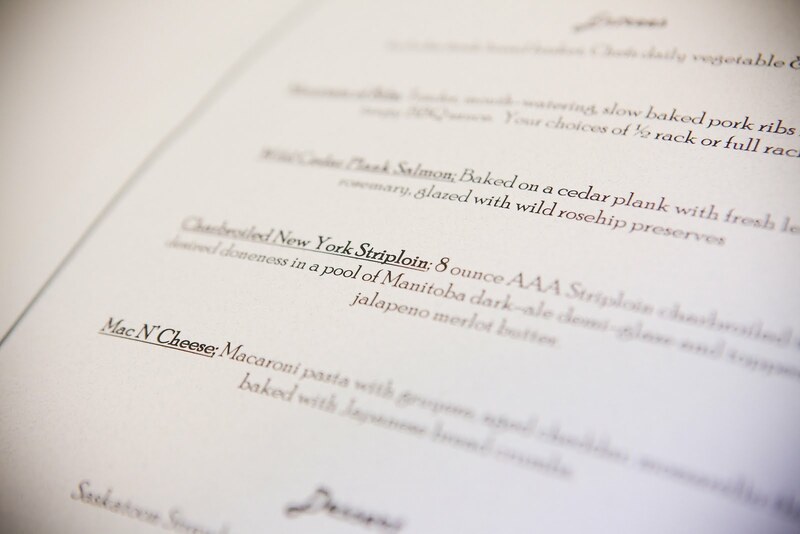 The meal options at the actual resort include the Mountain Grill and the Buffalo Bar. 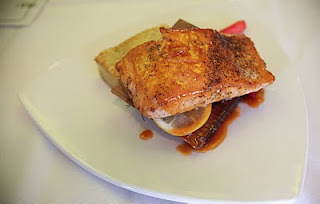 From the elegant gourmet cuisine paired with unprecedented wines to a relaxed low key meal both restaurants can satisfy any guest. The new riding stable has been built to the size of 85x200’ which features a type of fabric covered roof that allows for natural light. The way it was described by Elkhorn, was that the building was set up for spectators and can accommodate various events. 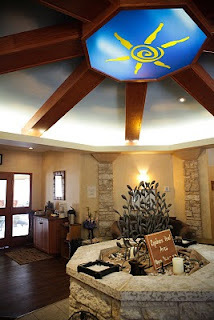 Lastly, the Solstice Spa.. I can’t even begin to describe how amazing the spa is! 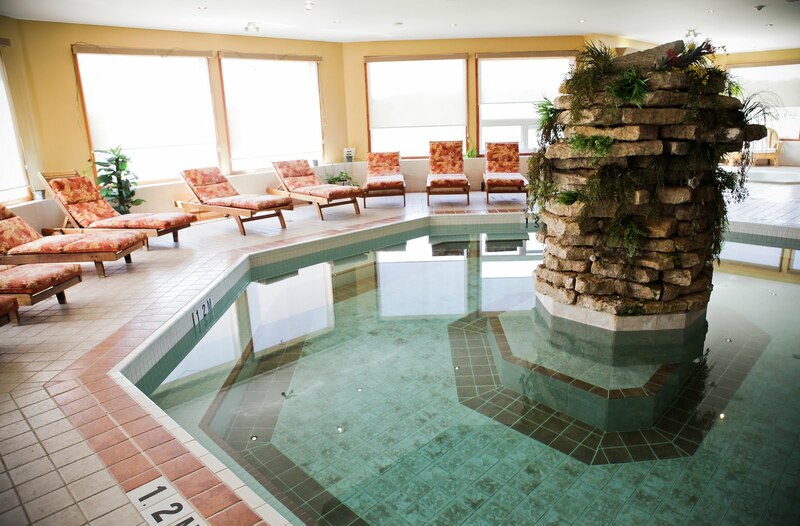 From steaming in the change rooms, to wading in the Equinox Pool and hot tub to the spa services.. I can’t even do it justice! I have been fortunate enough to experience a few of these luxuries and have been left speeches. 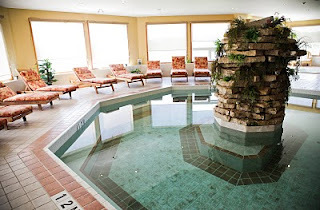 All my experiences at the spa and resort overall have been simply amazing. 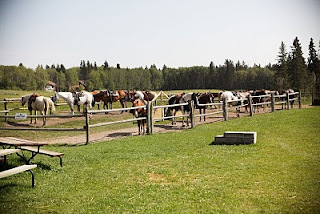 Beyond my personal visits to the resort (which can be up to 3 in a year!) I and A few other wedding planners and photographers (which by the way are pretty brilliant in their own respects), had the pleasure of touring the wedding side of this vacation spot. The on-site event coordinator Kris and her counter part Nicole from the Victoria Inn in Winnipeg where gracious hosts. I can only imagine how wonderful they would be to work closely with on an event such as wedding. It would take hours to write step by step what a couple can do to arrange the perfect wedding at this resort, but I can do one better, simply call me! I am happy to let you know all about it, and how it can be something you can enjoy. Elkhorn has it all and is whiling to tailor things to their guests. This service, along with the gourmet cuisine and attentive service in every professional area really would make for a wedding day, done With Style! Like everything else that goes with a destination wedding, there are some etiquette guidelines that are slightly different than traditional weddings. With that being said, invitations for destination weddings also have their own set of guidelines. What is listed are items you should consider following in order to keep your invited guests in the loop and your day well on its way to perfection. 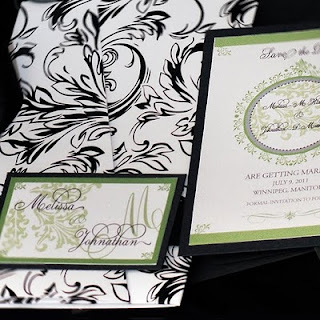 Traditional wedding invitation etiquette would state that invites should be sent approximately six to eight weeks in advance to the wedding date. Considering all the arrangements and travel plans that are entailed with a destination wedding, it is a good idea to be considerate to those who may want to attend. The best idea is to send a “save the date card” out as soon as possible. Include your names, the date, location and that there will be an invitation to follow. This will allow your guests to prepare financially, book their vacation time, and obtain the necessary travel documents if need be. Sending out the official wedding invitations should be determined according to the time frame needed in order to book travel and accommodations. In some cases it is necessary to send out invitations as early as six to nine months in advance in order to obtain group discounts or visas. An alternative to sending invitations too early, a couple should consider making a wedding website to keep guests up to date. If possible, it is best to include this website address on the “Save the Date” card. The actual wording on the invitation itself is relatively the same as traditional invitations. 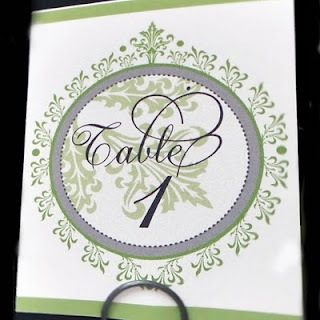 The main invitation should follow the traditional guidelines to set the stage of what type of wedding you are hosting. Is it formal, semi formal, appropriate attire for a beach wedding? It should also include the city and the province or country. It is best to add additional inserts in the invitation that explain more about the location, climate and more specific information on dress at the location in general. It is also a chance to mention about any excursions that may have to be pre-booked as a group. If the wedding is being held at a resort, it is important to list the details of the resort, booking information, and if the resort has special criteria such as adults only. All this additional information should be done in a concise and tasteful manor. It is not necessary to go into great detail about these incidentals. The wedding website will be the medium to help guests make an informed decision. As mentioned, your invitations will explain what type of wedding you will be hosting, but take a few extra steps to set the mood and theme. This is your chance as a couple to have fun with the invites! It is a great opportunity to get inspired and utilize the ideas of the location to make your invitations more original. Incorporate items from the location of choice. You can use bamboo mulberry papers for weddings in Tahiti, Bali or Thailand; use deep grey granite coloured papers with a contrasting colour such as sky blue for a wedding in the Rockies, use airy linen or cotton papers for tropical weddings with exotic floral embellishments. Remember this type of wedding goes beyond borders so have fun with it! Elegance comes in a lot of shapes and forms, and this is a great way to tell your guests that this will be a wedding to remember! 3. We are unable to attend. This will allow for you to budget for guests who are not staying at the group location if there are additional costs that will be incurred for them to attend the wedding and reception (i.e. most tropical all inclusive resorts will charge a surcharge for guests who attend that are not staying at the booked resort). It is recommended to send invitations to everyone you would like to attend whether you know they can attend or not. It is a courtesy and is appreciated. The purpose of the RSVP is to let you know that they can not make it. You may even be pleasantly surprised! Wedding announcement cards can be sent to everyone who where not invited. It is a wonderful way to let friends and family know your wonderful news after you have returned. More couples are choosing to have an additional reception once they return. It is an opportunity to include those who could not attend and say thank you to those who did. It is customary to make a separate invitation for this reception, but it maybe included as a separate insert within the wedding invitation package. If included, it should follow the full theme of the wedding invite itself. Your wedding invitation is truly the intro to your special day. Taking a few extra steps can give clarity to those who may not be as comfortable with travelling to this type of wedding and what is expected. Enjoy the process! It should be your chance to get your creative juices flowing. Remember, you have taken the time to choose a location that is just right. This is your chance to get that feeling on paper and get your guests just as excited as you are! Most people are savvy enough to book a holiday by themselves on the internet and do so on a regular basis. But if you are considering a destination wedding for your day, more thought should be put into it to make it everything you dreamed, even if it is last minute. When it comes to your special day, a word to the wise would be to consider hiring the right professionals to make your day, not just memorable, but rather a full success. Hiring a travel professional, a certified destination wedding planner, a photographer, and possibly a makeup artist/hair stylist can make a destination wedding everything it should be. 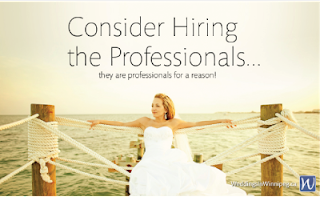 It is understandable that with financial trying times upon us, our instincts are to draw away from consulting with professionals and try to “do it ourselves”, but something to remember is that these professionals have taken the time to educate themselves on the very thing you want... to make a dream wedding, at a dream location, and do it on budget. When looking for the right professional to arrange your destination wedding, it is ideal to look for someone who can arrange your travel and your wedding. Look for a travel agent who is familiar in the type of wedding you want to book and choose a wedding planner who has the certification to arrange your details. When looking for a travel agent, find out how much experience they have. 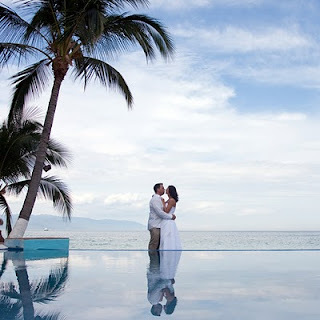 You may want to ask if they are certified destination wedding planners as well and where is their certification from. Finding one with both certifications will keep your planning moving smoothly with little back and forth. Some travel agents may not want to get involved with the actual wedding planning, but have the invaluable experience of arranging travel and accommodations for many destination weddings. Having the resource of a certified destination wedding planner in your home city can make the difference of having a wedding somewhere just far and away, to be something you never imagined possible. Their expertise is to do research to help you obtain the small details that you may not have been able to do on your own. Being able to express your wants and needs to your local wedding planner can take off stress, as they will be the ones to communicate with your chosen location. Your local wedding planner can assist with the communication through the course of the planning process and can communicate between you and the planner at the resort if there is one. You may feel deterred on hiring a professional wedding planner because of the cost, but remember, their job is to keep your wedding costs in check. They can negotiate with the resort and keep things on budget by keeping your best interests at heart. Remember, they work for you, not the resort. By bringing along your wedding planner, you are able to have a liaison between you, the resort, and anything else your wedding may require. You will be able to spend less time making sure all the small details are being taking care of and the little extras are being done correctly. Most resorts offer their own local wedding coordinators, but these coordinators often have to arrange multiple weddings at a time throughout the week of your stay. Bringing your wedding planner will allow for the two planners to make sure all the arrangements are being done as you the couple would have wanted. Hiring an experienced photographer locally, that can attend your destination wedding to take your wedding photos, can be the insurance you need to keep your memories for a lifetime. It does come with its price, but your photos are your memories for years to come, and something to pass down generations. Most resorts can offer to arrange a local photographer, but the quality is often unmatched to those we can trust here. By hiring someone locally, you are able to see the quality of the photographer’s work prior to the date. It is recommended that if you are whiling to bare this expense, you should look for someone who has had the opportunity to take such photographs. Ask your potential photographer if they have shot that type of climate, as each location can have different elements that can affect how the photographs should be taken. Another added bonus is that you may be able to have multiple opportunities for photo sessions. Most “trash the dress” photo shoots are taken a day or two after the wedding and you may want additional photo sessions while being on excursions during your stay. 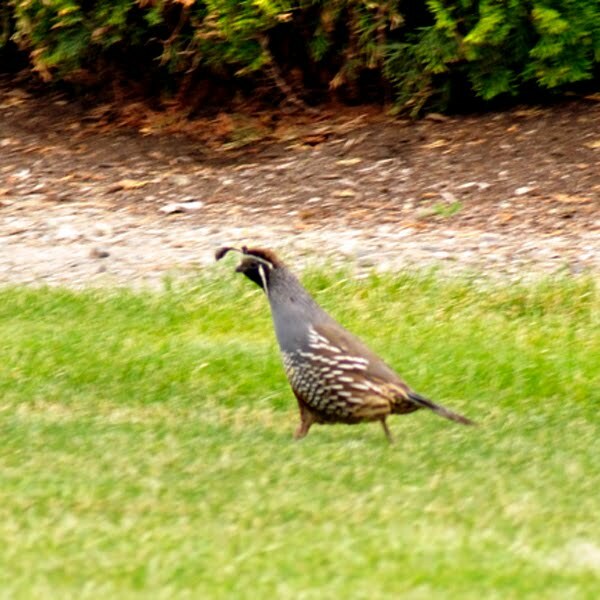 Hiring a photographer locally at the resort will not usually allow for these added bonuses. Experience over time has proven this to be worth its price and more. And to those who are considering entrusting their photo memories to their attending guests, do you really want the pictures your “Uncle Jim” with will take from his simple point and shoot camera after he has had one too many strawberry daiquiris? Are they the type of photos you will want to keep as your wedding album memories? Now this may seem like you are pushing the card, but having a hair stylist/makeup artist can really take care of the finishing touches on the bride and her wedding party’s look. Consider the elements that are involved when making yourselves up on that day. Humidity, time, maybe too may daiquiris yourself? Most brides feel that they will be able to take care of their makeup and hair, but the day comes and there is something unexpected along the line. Most resorts offer hairstyling and makeup, but remember, they don’t know you and your style. If you are considering this service at the resort, it is advised to make an appointment prior to the big day to do a trial. Once you do a trial, take a picture with your digital camera and bring it back on the wedding day. There have been cases where the same stylist is not available. Let’s get it on paper: With all arrangements of a wedding, make sure you have all professionals under contract and make sure the contract clearly states what is expected during your time away. Another important reminder would be to clearly state what is expected of them time wise while during your trip. Have a pre-established time line on what time of day and what days you will require them for their duties on the contract. You may have paid for room and meals, but even though they are hired, they do need down time as well. If the time is stated on the contract, there is less chance of miscommunicated expectations. Remember to protect your investment! When arranging the travel for your professionals in attendance, make sure extra travel insurance has been purchased. Professionals travel with more equipment to enable them to do what they do. So a comprehensive plan will ensure that they are covered for cancellation, health, emergency, and their baggage is insured as well. Quality insurance agencies, such as RBC Travel Insurance, will even have “riders” that will cover them if there is a misconnection in flights, and they are not able to attend the wedding in time because of it. Remember, this is your wedding, the less you have to stress about when you are away, the more time for fun and enjoyment! 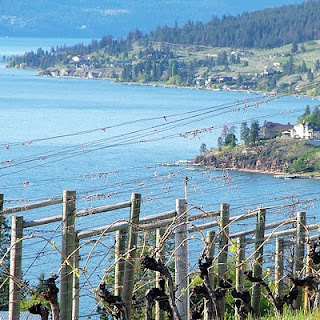 We recently had the pleasure of enjoying various estate wineries in the Okanagan region. We made our way threw the area, and the two that stand out in my mind the most where Gray Monk (http://www.graymonk.com) and Quails Gate (http://www.quailsgate.com). Both are grand estates and both offer amazing wines. You can definitely taste the elegance and fine artwork. 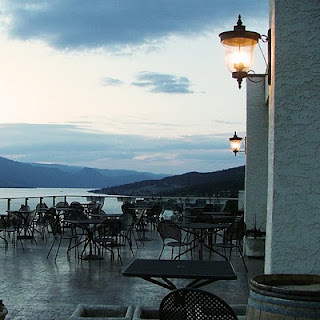 Both have lovely restaurants that I encourage people to take the time to enjoy, especially if you have taken the time to take their tours and participated in their wine tastings. During the tour at both estates, I was very interested to hear the both estates will be moving into Stelvin® screw top bottle closers for most of their wines after this harvest season. 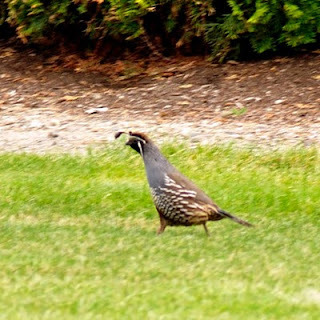 Now their wines are far from being considered “cheep wines”. Both estates have won many medals. 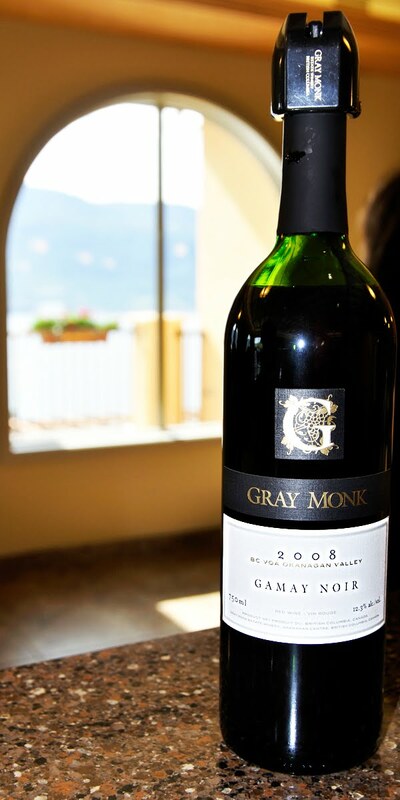 Gray Monk’s 2008 Gewurztraminer won Double Gold at All Canadian Wine Championships, their 2008 Latitude 50 White also won Gold, and their 2007 Odyssey White Brut won Silver. So there is something to be said when estates such as these make such a change. From my understanding, most wineries are concerned about the damage that has occurred to the world’s cork trees and this is one of the many reasons to make this change over. As the world becomes more and more aware of our impact we have on it, this becomes just another example of making a positive change. Most wineries will continue to use the “cork” corks for the longer aged wine as they allow for the appropriate oxidation which is imperative for these wines to ferment and “age” to their full potential. Some other wineries have experimented with synthetic corks, but what they have found is that these corks may have an inability to oxidize the wine correctly, thus have significantly shortened the wine’s life. There is also a concern of certain toxins slowly seeping into the wines since there is a significant amount of time they are in the bottles. The overall outcome has been less than desirable. The most recent change over will be to use the Stelvin® screw caps on a regular basis (http://www.stelvin.com ). It has taken some time for the research to take place to really analyze the effects on the wines, but considering the alternatives it appears a lot of estates are ready for this change. So please, when you are considering your next wine choice, please do not be under the assumption that the wines on the shelves are not up par just because of their choice of closure. These artisans have truly taken years and generations to accomplish their medium of art. So when in doubt, ask the store clerk or estate shop representative for guidance. It is would be such a same to miss out on something that could be truly enjoyed. Special thanks to all the lovely service providers at Gray Monk Estate Winery & Quail's Gate Estate Winery! Inspiration – Where do you draw it from? Over the past few months our two companies have been equally busy with planning weddings and events and doing a lot of wedding invitations, graphic design work and photography. One of the mutual traits both have in common is that we must find inspiration to be able to do all tasks successfully and in a timely manor. This brought me to think about how people get inspired in general. After talking to colleagues and clients, the more I hear, is it usually is by something influential such as a current media outlet or something peaceful and quiet, like walks in nature or a child’s blissful expression to our world. Now both seem like separate sides of the spectrum, but are they? The way I am able to articulate it is that it may be something small that peeks our interest, but it is the time we give the interest that makes it fully inspiring. It often takes us a few minutes (or hours/days in some case) to be in our minds to take a thought and make it something so much more. I believe that is the key! We pass so much in a day, that I am sure we could be inspired far more if we could slow down for a moment to absorb what is around us. Now, I know that is far easier to say vs. achieving, but it is something we need to take the time for in order to accomplish that creative cycle. How does this apply to our vast types of clients? And why am I even mentioning it? Honestly, I have been asked numerous times how travel and event planning has any relation to graphic design and photography, and why run two business such as these at the same time? When I take a step back and look at all our services (and our industries in general) some how, some way, they need a creative outlet to begin from. Now to bring it back to the subject of inspiration and how to make the most of a professional's creativity... Those who offer services in creative industries often want to hear their client’s thoughts and inspirations per say so they can learn from them and make them complete and into a reality. What I recommend is to take a moment to look carefully at the things that do catch your eye and take it one step further… figure out why they catch your eye. The “why” is usually the root of the emotion that you want to have evoked! 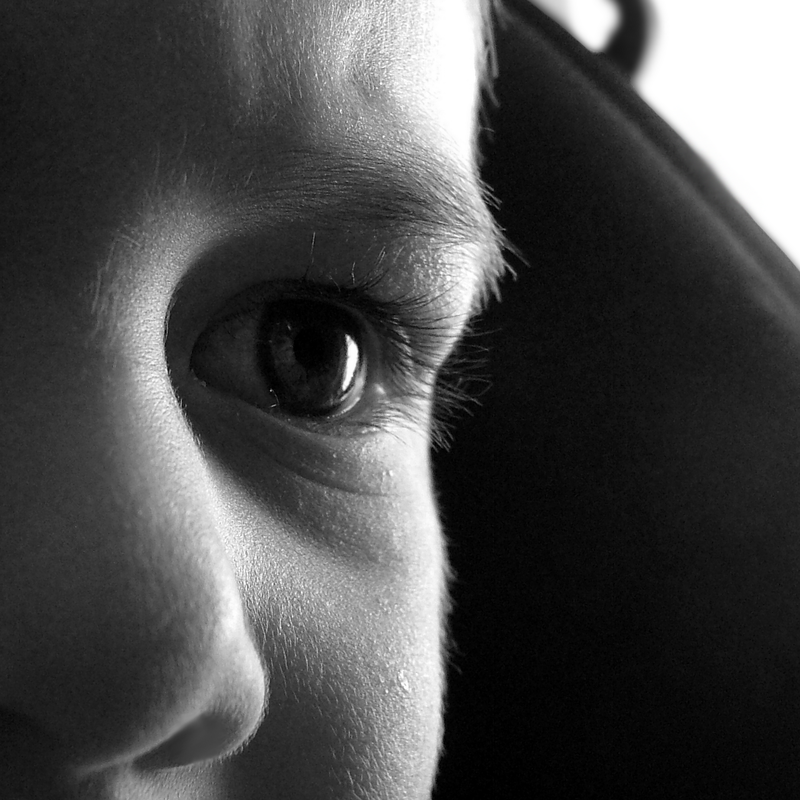 The beauty is once we can understand what emotion or picture you want to convey.. then the true magic begins. I am continually impressed when we can connect with a client and understand their vision, even if it is a little blurry. There is no feeling like the feeling of taking a small inspiration and making it real. I love it when you create something or take a picture of a subject and it that took all the creativity from your soul. So every time you look at it, it gives you the shivers! So my hope is that this post will inspire you (if that is not too redundant), and give you the fuel to do a little research before you make your next meeting with your wedding/event planner, graphic designer or photographer. Find those things that started your original inspiration and bring them with you to your meeting. They may be clipped pictures from magazines, a small item, or just a sketch or list. Anything and everything will help the process to assist your designer in creating your vision. But most all, be open enough to allow for the creativity to grow! As more couples look for that dream destination wedding in a location such as the Caribbean or Mexico they often do not know where to begin or how to make their dollar stretch. No one wants to sacrifice quality, but everyone wants to get the best value for what they pay for. Being in a departure city such as Winnipeg gives less options for departure dates if their wish is to have direct flights to their destination. Start looking at areas that you can see yourselves going to and look at what type of resorts might interest you. Are you looking for adults only, adventure, family orientated resorts, closer to larger city centers for more tour options, or smaller city centers for more privacy? What would be your potential dates? If you are planning on leaving from Winnipeg, you may want to consider leaving between January and the end of March if you dislike connecting to different flights. Our prime winter vacation season starts just before the December holidays and usually ends at the end of March. Once you have an idea what you might like, start collecting travel brochures or looking at them online at larger vacation companies. Remember, prices will change for the new year, but familiarizing yourself will give you an idea where to start your budgeting. Be realistic about your budget. What are you willing to pay to go to the resort? What are you whiling to pay for your wedding? As the bride and groom, there are more costs involved. Consider your guests and their budget. What are they whiling to pay to attend your wedding? How many do you think will attend as guests? Sit down with your destination wedding travel professional and discuss your likes and dislikes. The areas you are interested in and not interested in. Where do you envision yourselves, and what would the wedding look like. If they are experienced in destination weddings, they can start making suggestions. Often times, if a resort has under gone a lot of renovations, or a new resort has just opened, there may be additional sales you can take advantage of. One thing to remember is that if the resort is new, it may come with challenges. Some areas of the resort may not be fully developed or they may be understaffed until they know what their true needs are to function smoothly. If this is not a concern and you are aware of the risks, these resort options may be something worth looking at. 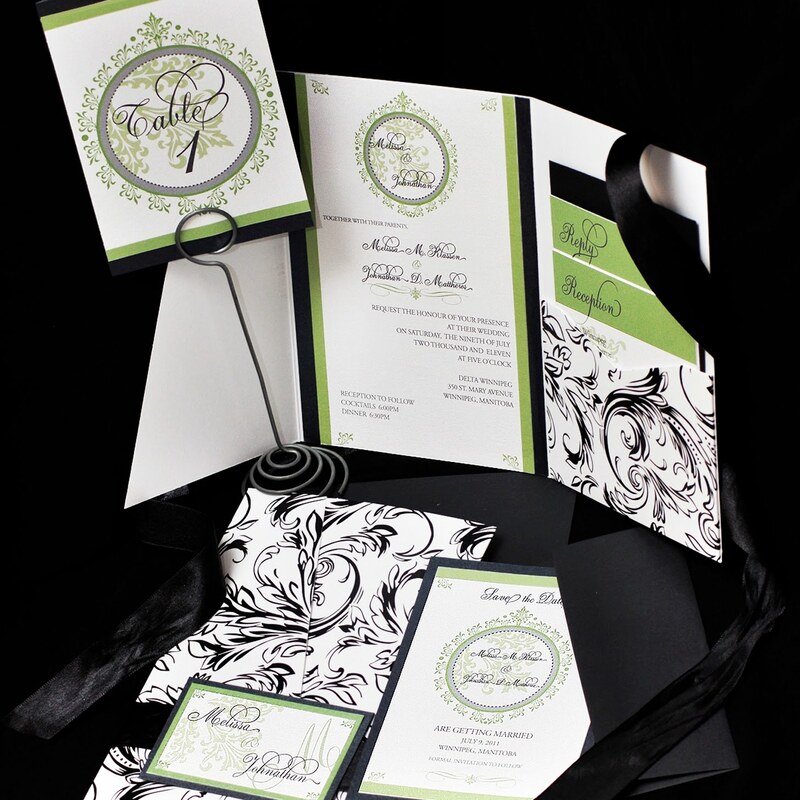 Send out save the date cards a year to 9 months in advance to get your group ready prior to June. Often times the bride and groom will assure that at least 30-40+ people will be booking the group rate, but when the time comes to put down the deposit , they barely are able to get 10 people to commit by the deadline. The month of June is an excellent time to secure your space with the vacation company for your destination wedding as they are just trying to project what their new travel season will bring sales wise. Usually there are large early booking bonuses, and final payment dates are often within 2 months. The vacation companies utilize this information when they contract the flight carriers to give them an idea of how many seats they may need to request for that particular destination. As destination weddings increase in this area of the world, vacation companies are increasing their competiveness. Ask your travel professional what vacation companies offer specials such as ”bride flies free”, “guarantee one time reprice”, “no hassle cancellation wavers”, “book ten, hold ten seats”, etc. Signature Vacations is an excellent example of these group promotions. Some of your potential guests are often leery of booking early in case the price drops at the last minute. Some larger vacation companies are offering new options that are opening repricing doors so the unsettled feeling is put to rest. It is refreshing that we are now experiencing wedding groups that where able to have their entire wedding group repriced a few months in advance to departure and received additional savings to what was initially quoted. Also, new “no hassle cancellation wavers” are being offered where a person can cancel for any reason and receive all funds back minus deposits and insurance costs. 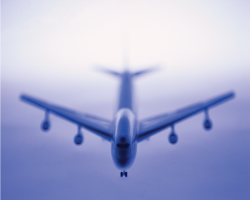 If too close to departure, they can receive a credit for future travel. 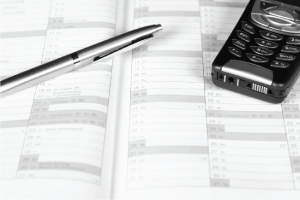 Depending on dates you choose, last minute may not always be available nor is it always the most inexpensive anymore. Most February and March dates fill up with popular destinations because of spring break and prime travel season. Booking early has now proved large savings and insurance that guests will be able to attend. Now once you have decided on the basics such as approximately when and where, ask your travel provider to get group quotes and be flexible once you receive the quotes. Remember you will often pay more on the second week of February because of university “reading week” and Valentine’s Day. If you are interested in hearing optional dates such as the end of January, or the beginning of February you may be able to save a few hundred a couple! Once you have your options, look to see what resorts offer pre-established wedding packages and look at their costs and what is truly included. Remember, a “free” wedding is often not totally free. Consider items such as extra guests, flowers, linens, music, etc. when you want to make the best decision of which resorts will take care of your needs and the needs of your guests. Some resorts will not just charge a surcharge for the extra guests, but may charge a surcharge premium for all the guests in attendance just because you went over the total permitted for that package. 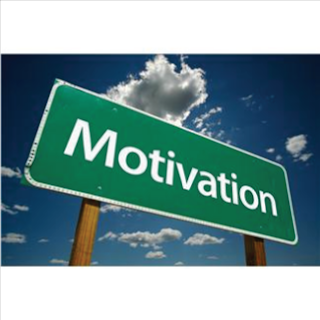 Instinctively, we are often motivated by highly advertised low priced holidays. Remember, this is your wedding. You will want to find a balance between low cost and high quality. Even though you want to shop around for the best price, try to find out at the beginning if you think you will have a good relationship with your destination wedding travel professional. You are planning a wedding, you will want to work together as team to make your day unbelievable! It is the time of year again. 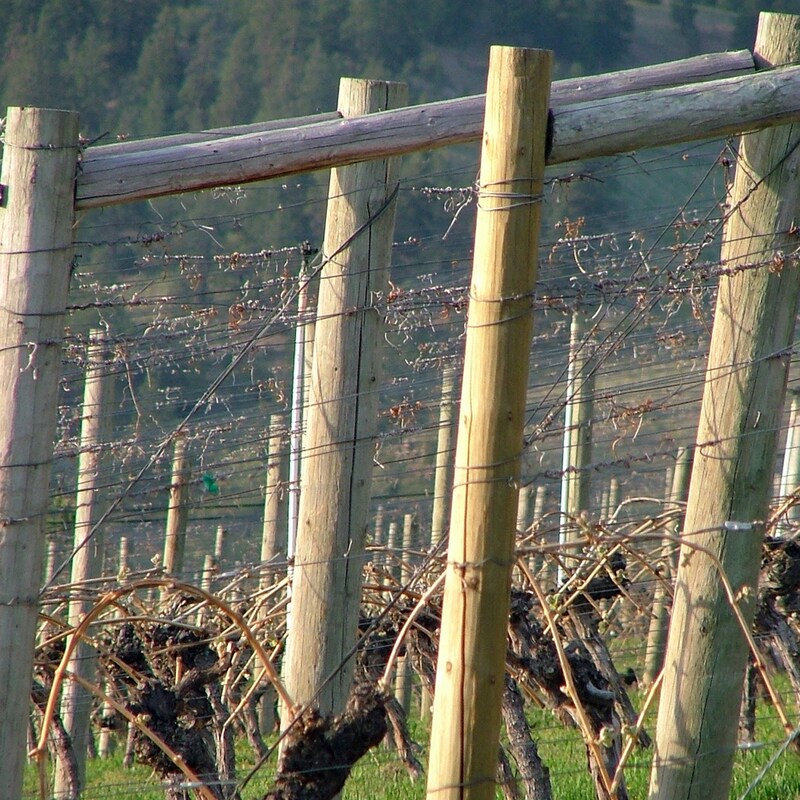 The spring air kisses the gorgeous Okanagan Valley and the dewy mornings start with fresh crisp air and by mid afternoon the land fills with warm sunshine. Tourist flood to the Okanagan Valley to enjoy the region’s "fruit of their labour". 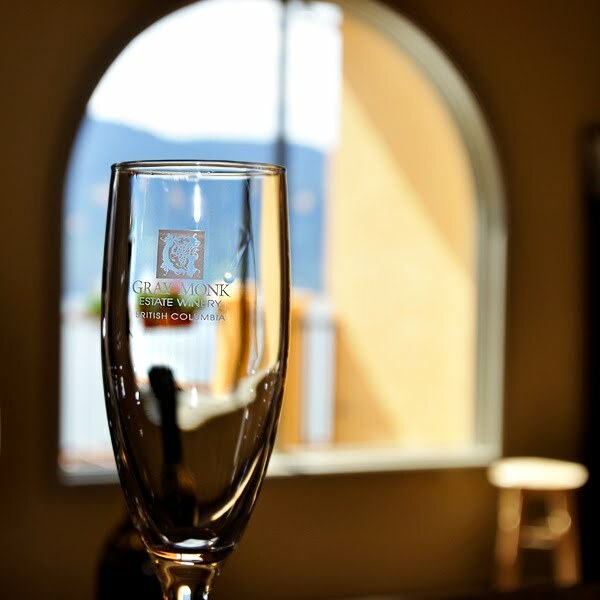 There are millions of opportunities to enjoy amazing wines and culinary works of art. 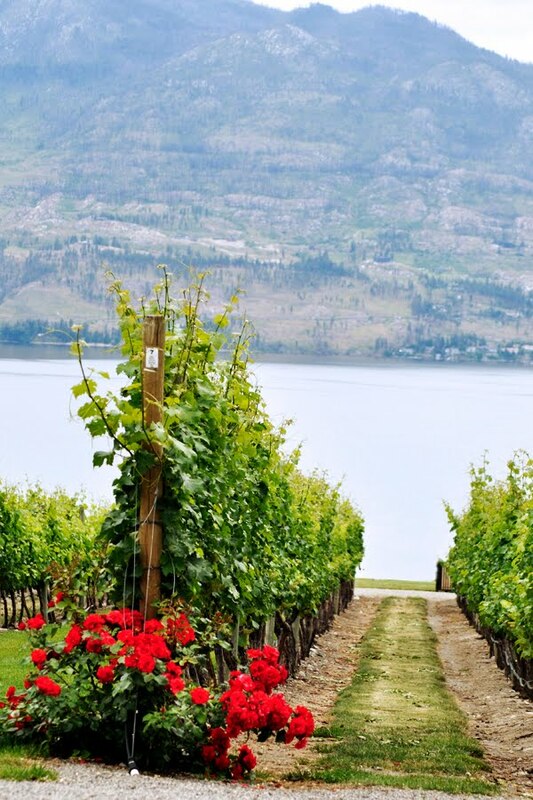 Being one who has enjoyed this festival for ourselves, we can say the entire Okanagan Valley is filled with amazing scenery,and the city of Kelowna is somewhere near and dear in ours hearts personally. So much so, I must return at least once a year. It breaks my heart not to be there again during their spring wine festival! I have seen a lot of places in my life and this is one I am compelled to return to on a regular basis!
" 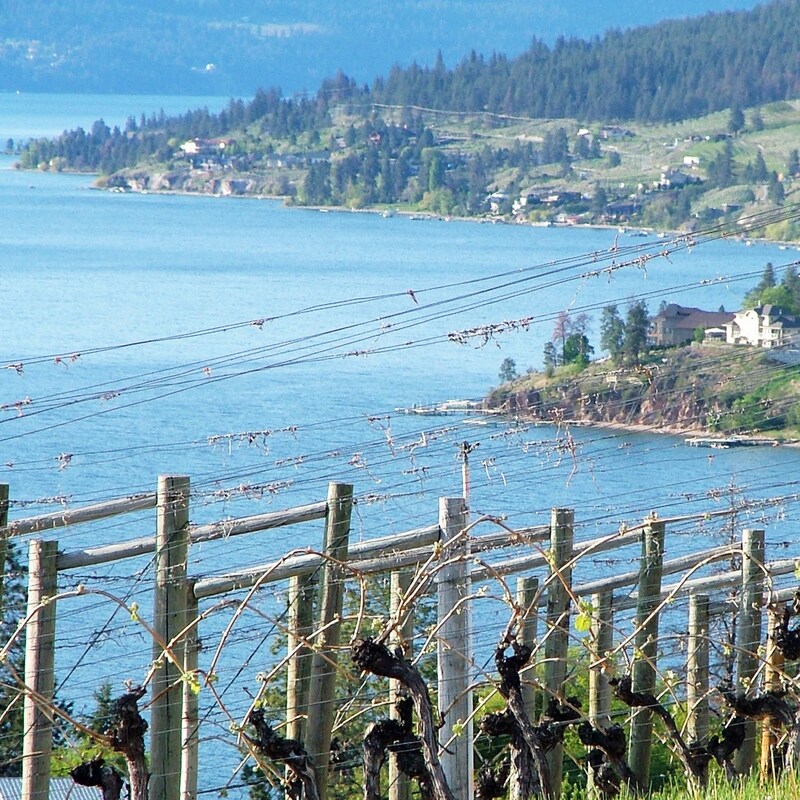 The Okanagan Spring Wine Festival is a perfect marriage of wine and culinary tourism. For the first ten days in May each year, it offers a tantalizing experience for anyone who loves fabulous wine accompanied by fine cuisine. 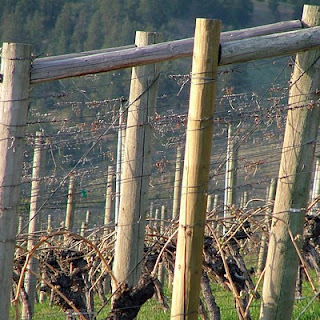 And what better way to announce the grape growing season than to hold a Festival during bud break!. 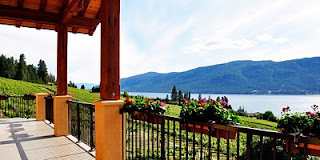 Guests can choose an incredible 100 plus events throughout Okanagan Wine Country at a time of year when it is absolutely delightful to savour Spring in the warm sunshine. 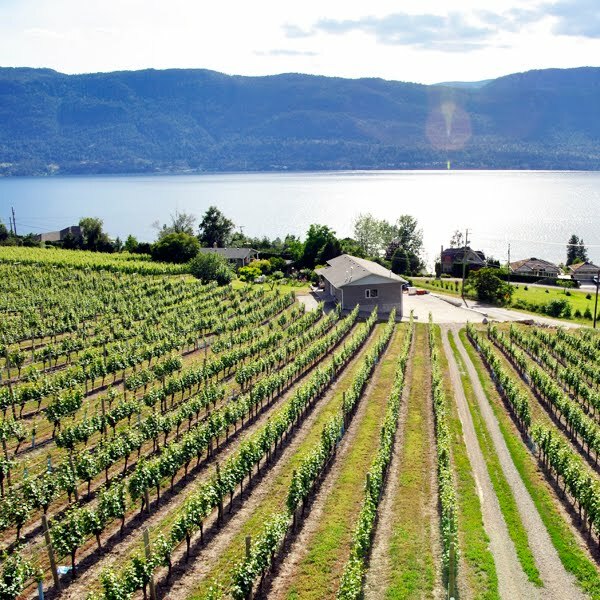 The Okanagan Spring Wine Festival has been described as "one of Canada's best small festivals" and it is no wonder that its success continues to grow. 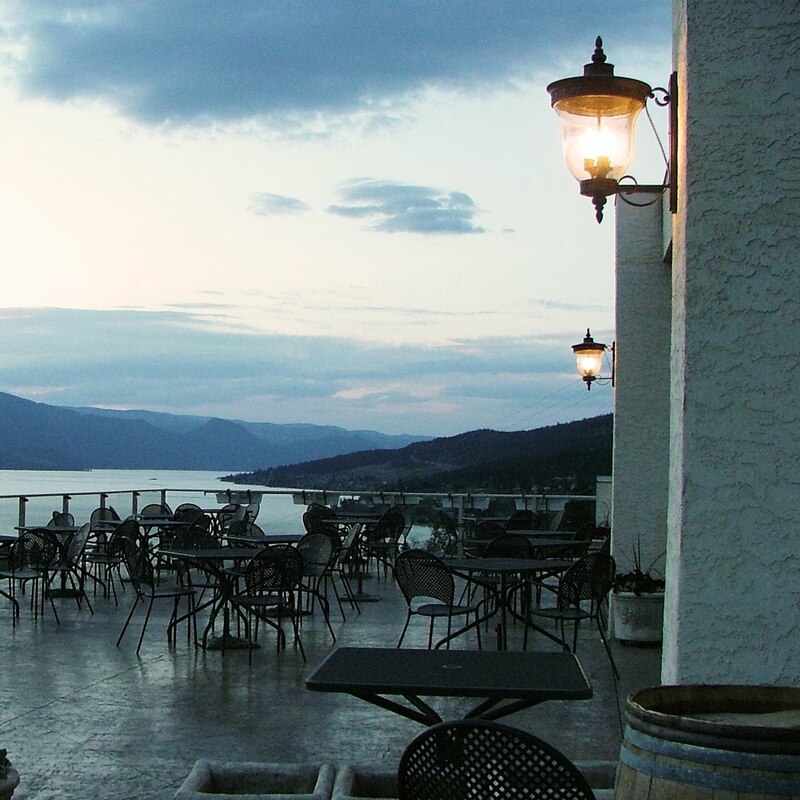 Experience a wide range of culinary treats from light lunches to gourmet dinners served at many fabulous locations, what better way to visit Okanagan Wine Country during the first weekend in May. 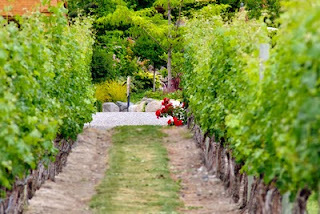 There are many tours to enjoy all the sites and go to various wineries. 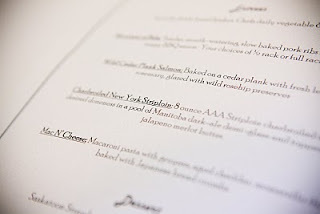 I highly recommend taking at least one or making a reservation at one of the wineries dinners and wine tastings. We have had the pleasure of enjoying an amazing multi-course meal and wine parings at the Gray Monk Estate Winery and their gourmet restaurant “The Grapevine”. It was beyond fabulous! The ambiance on their terrace was like being in the Mediterranean Riviera. The evening was blissful while we sipped their Latitude 50 wine, which is excellent for cocktail hour. Once we where guided into the dinner, each course was served to us and with it was an unbelievable pairing of their finest wines. I could not even begin to describe the meal. The chiefs are award winning and their culinary skills show their every talent. Dessert was no exception and was also paired with their ice wine! There was entertainment and we had the pleasure of being seated with one of the owner’s sons who is now taking over a portion of this family business . 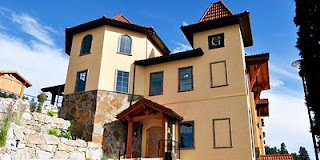 The winery is one of the longest family owned wineries in the region, and are owned by the Heiss family. 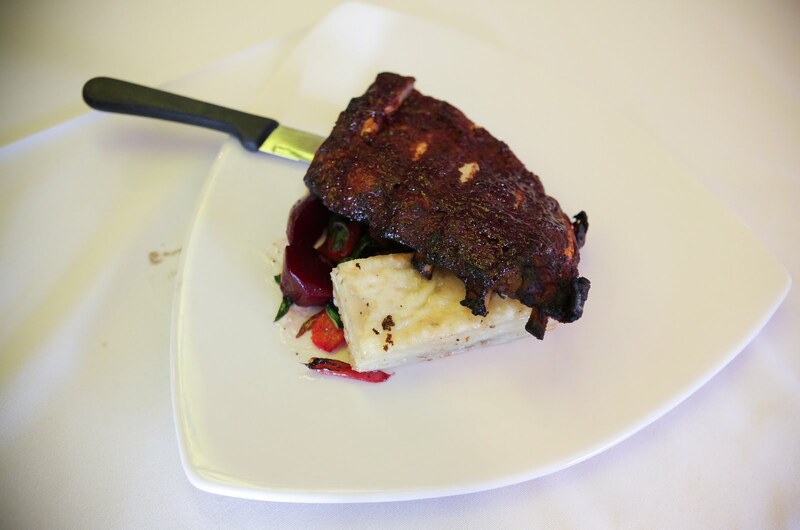 Their dedication to quality is seen and tasted in everything we have had the pleasure of experiencing. It is definitely an experience everyone should take the time to enjoy as well! – A fun alternative to save-the-date cards? A new trend? As time goes on and schedules get busier and busier we all seem to book our calendars so far in advance that we forget to add time for the fun things such as celebrations that may be out side of our own immediate circle of family and friends. It has happened one too many times where a wedding invitation arrives the standard 6 weeks prior to the event and there is just no way you would be able to attend for one reason or another. This is why the save-the-date card was created! The standard save-the-date card is often mailed out months before the actual wedding date. Most often they are sent once the couple has confirmed their wedding plans and have confirmed their wedding date. In celebrations such as destination weddings, it may be best to send a save-the-date card out as soon as possible, and as early as a year in advance. The cards should include the couple’s names, the date, the location, and that there will be an invitation to follow with more details. This will allow your guests to prepare financially, book their vacation time, and obtain the necessary travel documents if need be. Most of all, it gets the word out that the couple is planning their important day and it is important to them that you are in attendance. Now to commend those who have taken a creative side to this adopted idea. Let’s commend those who have taken it one step further! A new trend in 2010 has been “Save-the-Date Videos”. What a great idea? Some imaginative couples have thought of ideas such as post cards, calendars, and magnets so their date is indeed not forgotten, but to receive a video is far more fun and let’s face it... a little greener?! It gives a chance for the couple’s true personality to come forth and inspire future guests about the couple's up and coming nuptials. If your wedding invitation is truly, “the intro to your special day”, then a save-the-date video will definitely give the impression to your guests that your day will be a lot of fun that no one should miss! Destination Weddings - Is a Wedding far and away from home right for you? Most people are getting acquainted and comfortable with what destination weddingsa are. In one case or another, most have had the opportunity to have been invited or even attended one of these weddings and holidays raped up in one. Destination weddings by definition are weddings held a significant distance from the home town of the bride and groom, but often the first image that comes to most minds are the destination weddings that are held in tropical climates on white sandy beaches next to crystal blue oceans. 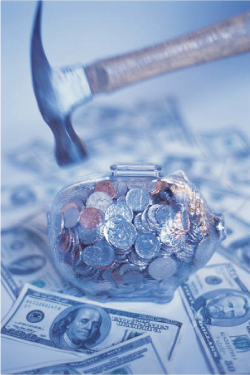 Make a truthful budget – one that you can live with after the wedding bells have stopped chiming. 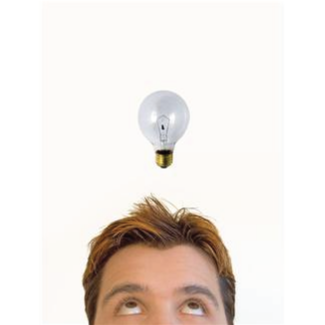 Now what is your true bottom line, so you do not go over it? Destination weddings at established resorts in the Caribbean and Central America often come with smaller price tags and guest lists verses traditional local weddings. To keep on budget, thought must be put into location, resort type and ranking, and the actual cost for the celebration. Are you comfortable that there will be a lot of arrangements that are out of your control? Are you whiling to trust more to professionals to direct you in your choices verses seeing every item yourself done during the planning process? Are you the type of couple where the small details do not matter as long as there is sun, sand, and love abundantly? Will this bring family together because they are too spread out? Are most of your guests comfortable with travelling? Are you comfortable without everyone in your family and social circle in attendance? Are you hoping for a smaller size wedding and were not sure how to obtain it if you had it locally? Are you comfortable that you will be dealing with legal procedures outside your country? Are you comfortable not knowing the officiant prior to the ceremony? Or, as an alternative, are you comfortable with a private and brief civil ceremony prior to leaving in order to alleviate most of the “red tape” from the country of choice? Does the idea of another culture, country, and climate inspire you or make you nervous? Are you the adventurous type that enjoys new things, and will embrace that your wedding location will have another culture inspiring your wedding cuisine, music and theme? As with all things, there can be easy answers to all these questions and there can be some second guessing that can come with it as well. If this all sounds like it could be your dream, focus on the important things that can work for you. See if you can fix the areas in doubt and if so, stand back and look at it again. If you have found the answer for the area in question, Congratulations! You have just started the first part of planning you wedding! Here is an example of a challenge: If you are not comfortable in dealing with the legal procedures of another country and the correspondence that will come with it, consider having a civil ceremony locally prior to leaving. This way, once you are at the resort, you can have a renewal of vows, and the legal paperwork is done here in Canada. If having the legal ceremony here is an option, have an important person in your life such as a pastor or priest marry you prior to your departure (remember, all that is required to make a marriage legal in Canada is to have the officiant, the bride, the groom and 2 witnesses be in attendance and of legal age while the marriage vows are being said). Then you can still have your dream ceremony at the resort with all your guests in attendance. You will have the best of both worlds! If there is no one in particular you would like to request officiate your vows here in Canada, there is always the option of a Marriage Commissioner or Justice of the Peace. A wedding is the beginning of two lives uniting together. The decision of the location should truly be that couple’s dream into a reality.